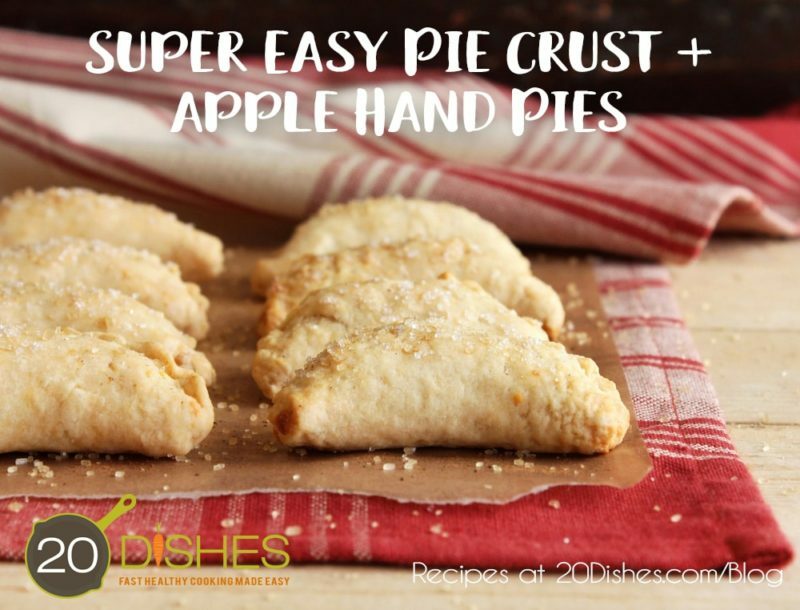 Every kitchen needs a classic pie crust recipe and this one is PERFECT for those in a gluten and grain free household. Pie crusts are a basic recipe that can be used for a variety of sweet and savory dishes. Fill with your favorite fruit, eggs, or pot pie filling and viola! You have an amazing dish with the perfect flaky crust. The key to an amazing gluten and grain-free pie crust is cassava flour. Hands down, this flour is the most versatile gluten and grain free flour out there. 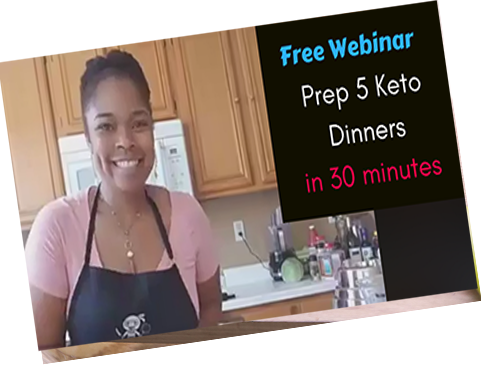 It, in most cases, can be used as a 1:1 replacement for wheat flour, which makes adapting your favorite pre-paleo recipes a cinch! 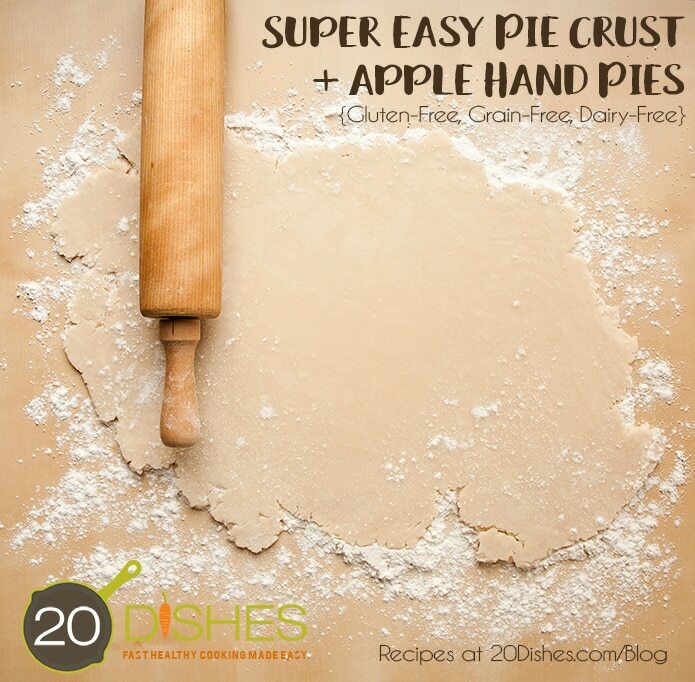 Orleatha shared her basic pie crust recipe that can be used for any of your favorite pies, pot pies, or quiche recipes. 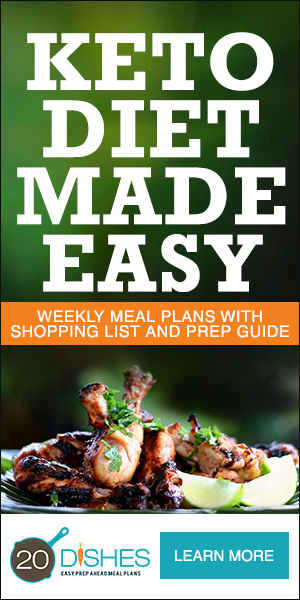 It can also be used for your favorite hand pie recipe too! Today, Orleatha is making an apple hand pie, but you can fill those mini hand-held treats with any filling of your choice! Add butter and use a fork or a pastry cutter to mix until it resembles a dry, crumbly mixture. Slowly add cold water, one tablespoon at a time mixing well between each addition until dough is formed. Your dough should be moist and malleable, but not sticky. Lay down one sheet of parchment paper and dust with some arrowroot powder, place your dough ball in the center and flatten slightly into a disc, then dust with more arrowroot or cassava flour. Place a second sheet of parchment on top and slowly begin to roll out the dough into a large circle about ¼ inch thick. Using the tines of a fork, poke holes on the bottom and around the sides of the crust to allow for steam to release during baking. Place in oven and bake for 10 minutes at 350. Spiralize your apple in your spiralizer, getting really thin slices. We highly recommend the Veggie Master III (it blows all other spiralizers out of the water!). Place apples in a bowl (if you’re not using the Veggie Master III) and sprinkle with your cinnamon, coconut sugar, and salt. Toss to combine.